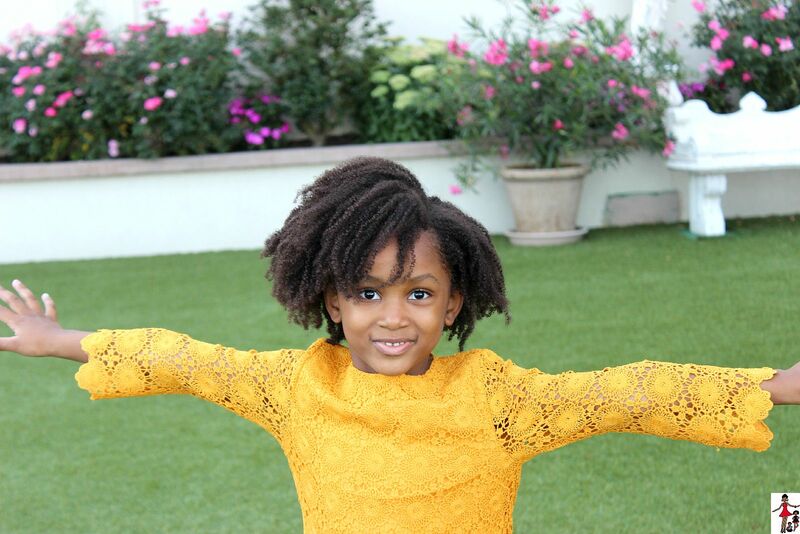 When you have a little one with curls, you want to find the prettiest, easiest styles. Wash and go styles can make your weekly wash day that much easier, especially when you have a couple great styles prepared. For our mamas with little curlies with Type 4 coily curls, here's one of the easiest wash and go styles we've come across. Prepoo: Before styling, coat your little's curls in an oil, such as organic coconut oil, and cover with a cap for about half an hour. Cowash: Whether your little is independent enough to wash her own curls or still needs your help, pick up a cowash to gently cleanse those delicate curls. Make sure to pay attention to the scalp to remove any build up. If your little has a lot of build up, you can swap the cowash for a gently cleansing curl care shampoo. Condition: Once you've rinsed out all of the cowash, add a deep conditioner to every strand. Section your little's curls so each curl gets coated. Allow to sit for 15-30 minutes under a cap to get the full effect before rinsing with cool or cold water to help keep the curl's cuticle closed down. This helps reduce frizz and maximizes the curl's natural pattern. Detangle: Apply a lightweight leave in conditioner to help create slip before you begin detangling. Work in sections from the tips to the roots. Don't pull, tear or yank on curls but instead work through each snarl individually, using your fingers or a wide toothed comb. Once detangled, divide curls into even sections and clip apart. Product: After creating even sections, apply a lightweight gel to each individual section. Work from root to tip to make sure each curl is coated. You'll want to keep the sections very small to get the best texture and curl shape. While applying product, use a spray bottle to keep curls damp so they don't frizz up. Dry: Once you've finished applying product, dry the curls. You can do this by sitting your little under a hood dryer or working through the curls with a diffuser on low heat. Let your little go out and enjoy their pretty wash and go style! Have any of you tried this look? If so, let us know how it went in the comments below.